To view wholesale pricing and have access to volume discounts, please log in to your wholesale account. If you do not have a wholesale account, you can apply for one here. Note: Volume discounts for qualifying products start with as few as 5 repair harnesses (mix and match) and will be automatically calculated within the shopping cart. Discounts may also be viewed by clicking the "Details" tab above after wholesale login. 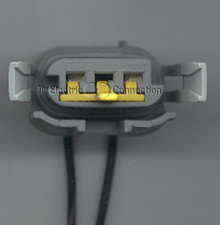 The price of this product varies with the quantity of products ordered in the category "Repair Harnesses"